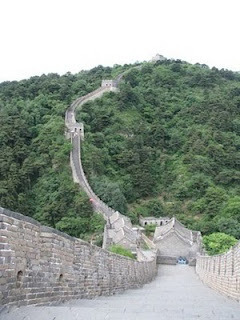 Over two millennia ago, an emperor of China, Qin Shi Huang, began building a wall. It was a huge project. As centuries rolled by, other Chinese emperors extended it; eventually it became the longest manmade structure on earth. We know it as the Great Wall of China. This part of the wall, according to the lonely planet guide, had been constructed originally during the Ming dynasty, some time between 1368-1644, c.e. You can surmise here that some serious reconstruction had been recently done to it, enabling us American sightseers to safely traipse across its 6-meter spine and do the tourist thing. 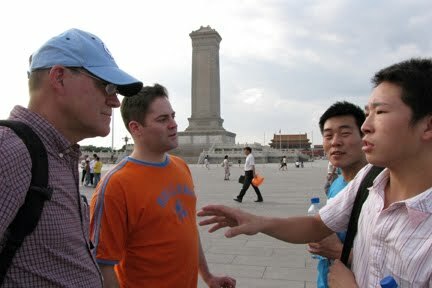 You can also notice in this picture several watchtowers. We walked through a few of them, and bought refreshing drinks and snacks from an enterprising local vendor who had carted his goodies up there on the back of a donkey. I was looking at this picture this morning, and wondering what the young man might be thinking as he peered up at that bright opening. Of course I don’t know what was running through his overactive neurons, but I had this sudden wildly imaginative speculation that he might be encountering a just-discovered aperture in a wall of a different sort, the Great Firewall of China. Maybe my mental liberties while viewing this picture were some kind of deep-seated resentment from having been unable to monitor my own website while in China. 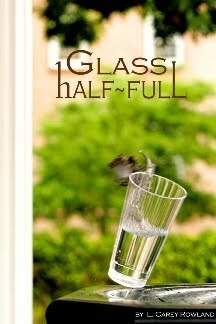 Or perhaps my subconscious gymnastics were some sympathetic vibration with Google’s recent attempts to do no evil there. 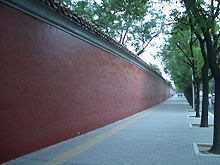 This long wall runs along Fuyou Jie, the avenue in Beijing on the western boundary of Zhongnanhai, which is the epicenter of CCP oligarchy and micromanagement. I just lifted this photo from Wikipedia Wikipedia. You can see the length of our trek there, which took us southward along the wall until we turned left onto Chang’an boulevard and headed for Tiananmen Square and the Forbidden City. Thanks for joining me in our little online tour of Chinese walls. If you’re in China and viewing this, congratulations! 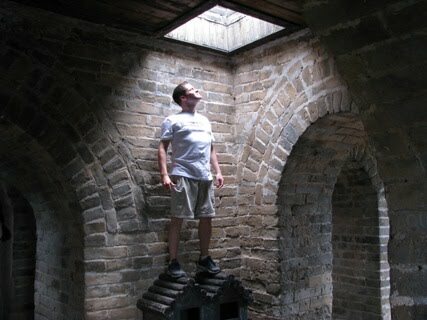 You’ve climbed high enough atop the Great Firewall of China to have found an opening.